Gionee F205 and Gionee S11 Lite are the Chinese mobile maker's latest smartphones in India. Gionee launched the two smartphones at an event in New Delhi on Thursday. The company had showcased both the smartphones last year, at an event in China. Both the Gionee F205 and S11 Lite have been priced in the selfie-centric budget smartphone segment. The key highlights of the handsets include FullView Displays (with 18:9 aspect ratio), Face Unlock, Bokeh effect, Private Space 2.0, App Lock, and App Clone features. Notably, both the smartphones come with Android 7.1.1 Nougat-based custom OS, and there is no timeline for the Android 8.0 Oreo update. Gionee has also informed that both the handsets have been manufactured in India. Gionee F205, S11 Lite Price in India The Gionee F205 has been priced at Rs. 8,999 in India. It comes in Rose, Black, and Blue colour variants. The smartphone will be available from Thursday (April 26) via offline and online channels. Meanwhile, the Gionee S11 Lite will be available at Rs. 13,999. It comes in Black, Gold, and Dark Blue colour models and will start shipping by the end of next month. 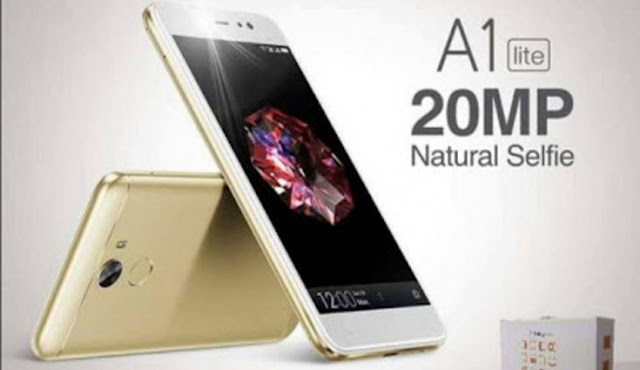 Gionee F205, S11 Lite Specifications The dual-SIM (Nano) Gionee F205 runs Amigo 5.0.11F, the company's heavily customised flavour of Android 7.1.1. The smartphone sports a 5.45-inch HD+ (720x1440 pixels) display with an 18:9 aspect ratio and is powered by a MediaTek MT6739 SoC, coupled with 2GB of RAM. In terms of optics, the Gionee F205 features an 8-megapixel camera with LED flash at the back and a 5-megapixel camera for selfies. The handset comes with 16GB of inbuilt storage, expandable via microSD card (up to 256GB). Connectivity options on the Gionee F205 include 4G VoLTE, Bluetooth 4.2, Wi-Fi, GPS, Micro USB, and 3.5mm headphone jack. Sensors onboard are an ambient light sensor, digital compass, gravity sensor, and proximity sensor. 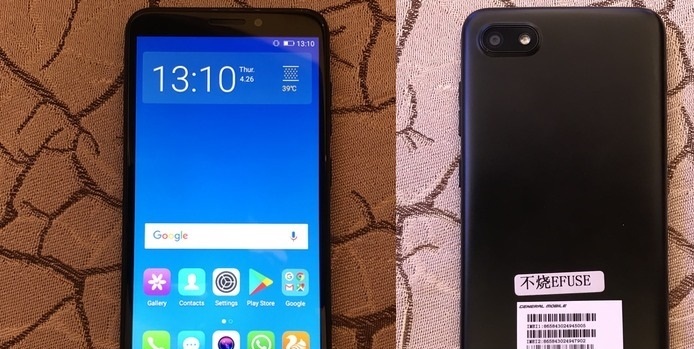 Notably, there is no fingerprint sensor on the Gionee F205. The smartphone is powered by a 2670mAh battery. It measures 148.40x70.7x7.95mm and weighs 135.6 grams. On the other hand, the dual-SIM (Nano) Gionee S11 Lite also runs Android 7.1.1-based Amigo OS 5.0.13S. The handset sports a 5.7-inch HD+ (720x1440 pixels) display with an 18:9 aspect ratio and is powered by a 1.4 GHz octa-core Qualcomm Snapdragon 435 SoC, paired with 4GB of RAM. When it comes to the camera, the Gionee S11 Lite sports a dual rear camera setup with a 13-megapixel primary sensor and a 2-megapixel secondary sensor. At the front, is a 16-megapixel selfie shooter and it comes with Bokeh effect. Also, the smartphone comes with 32GB of inbuilt storage, expandable via microSD card (up to 256GB). The Gionee S11 Lite has connectivity options like 4G VoLTE, Bluetooth 4.2, Wi-Fi, GPS, and a 3.5mm headphone jack. It has the same set of sensors as the ones present in the Gionee F205. Notably, the smartphone is powered by a slightly bigger 3030mAh battery. It measures 153.75x 72.6x7.85mm and weighs 141 grams. Gionee has announced the launch of Gionee A1 Lite smartphone in Nepal. The Gionee A1 Lite is priced at NPR 26,999 ( Rs 16,869) in Nepal. It is available in red, black and gold colours and it will be available for pre-booking from 18th of June in Nepal. The Gionee A1 Lite features a 5.3 inch HD (1280 X 720 pixels) IPS display. It is powered by a 1.3 GHz octa-core MediaTek MT6753 processor. It has 3GB RAM and it runs on Android 7.0 Nougat operating system with Amigo 4.0 UI on top of it. The smartphone comes with dual SIM and is 4G enabled. It also comes with a fingerprint sensor at the back of device. It has a 13-megapixel rear camera with LED flash and a 20-megapixel front camera. 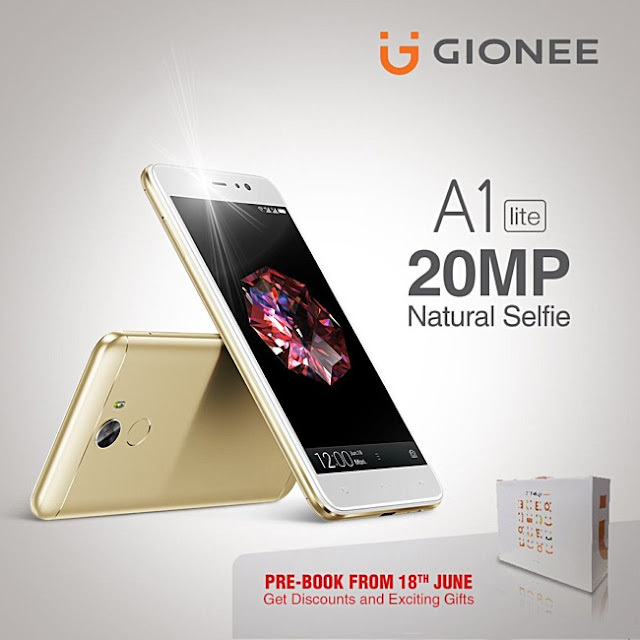 Gionee A1 Lite has a 32 GB internal storage and at this point in time it is not known whether it has an expandable memory slot or not. It packs a 4,000 mAh battery which is said to offer 295 hours of standby time. On the connectivity front, the Gionee A1 Lite supports 4G, WiFi, GPS/AGPS, micro USB, 3.5 mm audio jack and Bluetooth 4.1. Currently, there is no information about its launch in India. Gionee A1 Lite is the lite version of Gionee A1 which was launched in India in March this year for Rs 19,999. As for the specifications are concerned, Gionee A1 offers a 5.5-inch full HD AMOLED display with 1920x1080 pixel resolution and is powered by a quad-core MediaTek 6755 Helio P10 processor, along with 4GB RAM and 64GB of internal storage. The smartphone also comes with an option to expand the storage to 128GB via microSD card slot. On the camera front, the smartphone has a 13-megapixel rear camera with auto-focus, F2.0, 1/3.06 inches, 5P lens, flash and a 16-megapixel front camera with fixed focus, F2.0, 1/3.06 inches, 5P lens, selfie flash. The smartphone runs on Android 7.0 Nougat operating system and is backed up by a 4,010 mAh battery. On the connectivity front, the device support dual-SIM, 4G LTE, Wi-Fi, Bluetooth 4.1, GPS, and micro USB. The handset measures 154.5 x 76.5 x 8.5 mm and weighs 182 g.